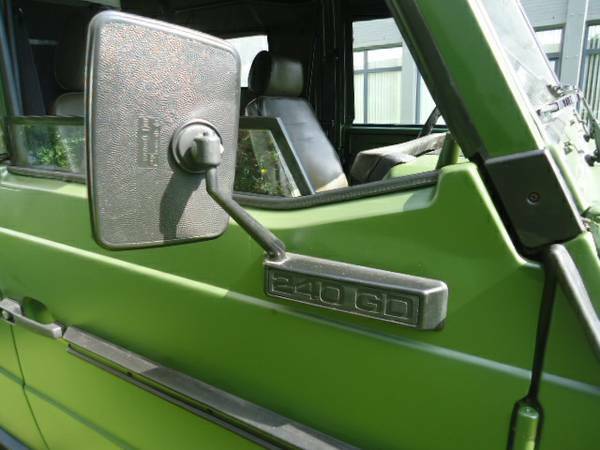 This, apparent former Bundeswehr (ex-military), 1986 Mercedes-Benz 240GD just showed up on Bring a Trailer. 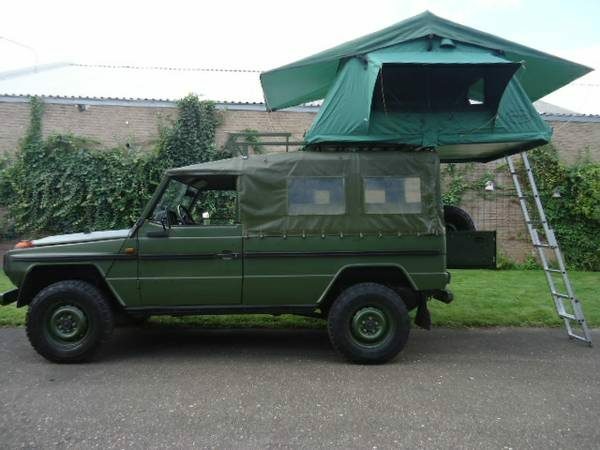 It’s a 2-door, long wheelbase, open top model that’s been fitted with a rooftop tent, stove and cabinets. It’s said to have heavy-duty axles. Power comes from a 4-cylinder diesel which, if my experience with the 240D is any indication, will make it pretty slow. The speed, or lack thereof, is one caveat. Registration might be another. The ad states that documents for registration will be included. It doesn’t state that the car is registered. OK—it’s a diesel, and older than 1998, so no California smog test, but it’s still a European import. It’s something to think about. Still it could make a fun overlander. The car is listed on Craigslist and located in Los Angeles, California with an asking price of $25,000. Tons of photos after the jump.